Our Decaffeinated Earl Grey is processed using the CO2 Process. The advantage of this decaffeination process is that no chemical solvents are used to remove the caffeine. Also, using the naturally occurring CO2 in a circulation process which carefully uses high pressure and temperature to extract the caffeine, the origin distinct character of the tea is retained in the cup. This Decaffeinated Earl Grey is made from top grade Ceylon black tea scented with the elegant fragrance of bergamot. When brewed this tea produces a bright coppery color liquid with a piquant and refreshing taste. Enjoy at any time, whether mid-morning or after dinner. Free shipping with purchase over $60. I ordered this tea for a friend who was complaining that he could not enjoy tea anymore because all the decaf teas he had tried had no flavor and tasted like hot water. Recently he emailed me and said the tea was great and he was so happy that he can have an enjoyable cup of tea again, in spite of having to drink decaf. Yea was fresh and flavorful. I personally did not enjoy the taste of it. Very flowery. I really enjoyed this, during the summer it makes an excellent iced tea. A wonderful way to wind down the day! Earl Grey has always been my favorite of the Black Teas, so I greatly enjoy the decaf version before bedtime. What I love the most is that it doesn't taste "weak" like most decaf teas one would buy from the grocery store, but full-bodied and delicious, just as the regular! This is an awesome tea! 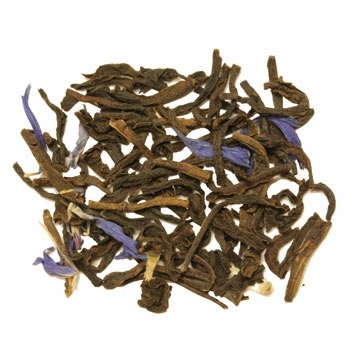 It isn't easy to find a decaf earl grey in loose leaves and I am delighted to find this one at Enjoying Tea! I'll be telling all my tea party ladies about it. This tea is one of my favorites. The flavor is wonderful. I've tried other Earl Grey teas & there's no comparison. This is the best Earl Grey loose tea I have ever found! Great aroma and flavor, not overwhelmingly bergamot ....just perfect! I love this decaf Earl Grey so much! Lots of flavor and smells heavenly! I drink this after dinner and it doesn't keep me up at all. Love this full bodied decaffinated tea.